Want to dine with the mayor? Book a table at Antiche Carampane and chances are you will be sitting only one or two tables away from him (it’s a very tiny place). 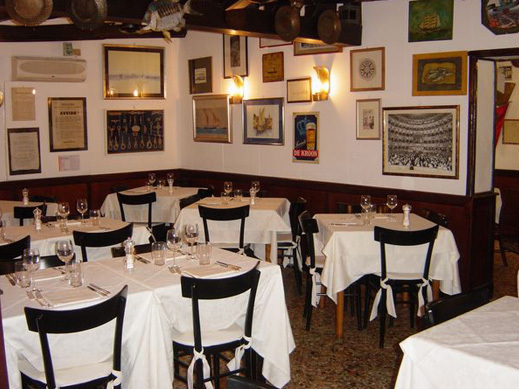 Very popular among Italian politicians and showbizz personalities, this typical Venecian cuisine restaurant carries the punchline: ‘No lasagne, no pizza, no menù turistico’. Fantástico!